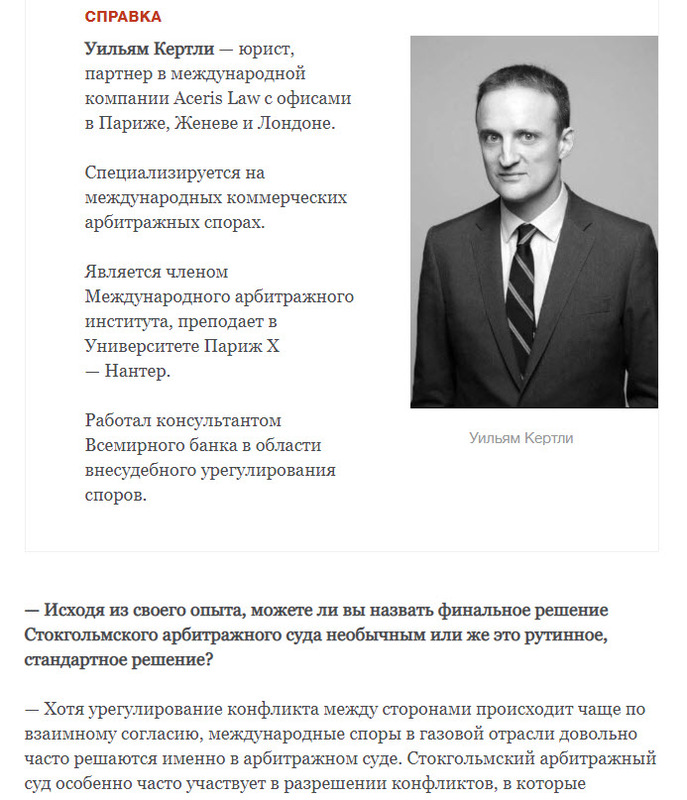 As explained by international arbitration lawyer William Kirtley in the Russian-language article, the use of international arbitration is quite standard to resolve international disputes involving the gas industry. SCC arbitration in particular is commonly used to resolve disputes involving countries of the former Soviet Union. Since Naftogaz received an arbitration award in its favour against Gazprom, and Gazprom refuses to pay the amounts awarded, this allows Naftogaz to target any assets owned by Gazprom in the majority of countries of the world (159 countries are currently Parties to the 1958 Convention on the Recognition and Enforcement of Foreign Arbitral Awards, ensuring the near-universal enforceability of arbitration awards). While the rules vary for the enforcement of an arbitral award on a country-by-country basis, Naftogaz can seek to enforce the award against Gazprom assets throughout the world, including shares of Nord Stream and Nord Stream 2. Gazprom will remain in a difficult position unless it pays Naftogaz or is successful in setting aside the original award. As explained by Mr. Kirtley, the SCC arbitration award is considered to be a foreign arbitral award in Switzerland. Swiss courts recognise and enforce arbitral awards that finally resolve any part of a dispute. Its recognition and enforcement is governed directly by the Convention on the Recognition and Enforcement of Foreign Arbitral Awards of 1958 (New York Convention), pursuant to article 194 of the Swiss Private International Law Act (PILA). If Gazprom has assets in Switzerland, they may be targeted in order to enforce the monetary award. Swiss Courts have no power to set-aside the award, this may only be done at the seat of arbitration in Sweden. The only grounds to prevent the enforcement of a foreign arbitral award in Switzerland are on the basis of Article V of the New York Convention. These grounds are restrictive and Swiss courts do not interpret them loosely. In order to succeed, Gazprom would normally need to prove that the arbitral tribunal wrongly upheld jurisdiction, the tribunal was irregularly constituted, the tribunal did not rule in accordance with the mandate given to it, due process was seriously violated, that the matter was inarbitrable or that enforcing the award would violate Swiss public policy. Gazprom is highly unlikely to succeed, as very few arbitral awards are refused enforcement in Switzerland. As Mr. Kirtley notes, Gazprom has multiple options, as is the case for all award debtors. One option is to seek the setting aside of the original arbitration award, as Gazprom has been attempting to do, notably on the basis that the tribunal secretary drafted a considerable portion of the award. Another option is to attempt to prevent enforcement in all countries where Naftogaz seeks to enforce the award, as Gazprom is also doing. A third option is to initiate a new arbitration against Naftogaz, in the hope that a larger award in its favour may be used to set-off the amounts due under the February 2018 award, which Gazprom is also doing.